What can you do with that white space? Ofcom is testing the water for 'white space' technology in the hope it can improve broadband access in rural areas, Wi-Fi services and 'machine-to-machine' networks. The communications industry regulator has announced plans for a pilot of white space, which uses gaps in the broadcasting spectrum to allow devices to transmit and receive wireless signals. 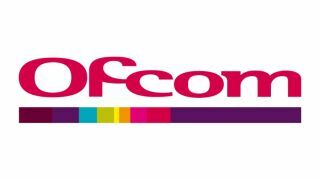 Ofcom is inviting industry to take part in the pilot, which is intended to take place in the autumn and will focus on spaces between airwaves reserved for digital terrestrial TV. It will involve testing the inter-operation of white space devices, databases and the processes to prevent any interference to current spectrum users. The regulator hopes the technology can be rolled out during 2014, enabling the use of white space devices across the country. Ed Richards, Ofcom Chief Executive, said: "Ofcom is preparing for a future where consumers' demand for data services will experience huge growth. This will be fuelled by smartphones, tablets and other new wireless applications. "White space technology is one creative way that this demand can be met. We are aiming to facilitate this important innovation by working closely with industry." The idea is that a white space device will not be able to start transmitting without clearance from a database qualified by Ofcom. It will maintain information on where the white spaces are and the maximum power level for devices. A consultation on the technical requirements was published last November.